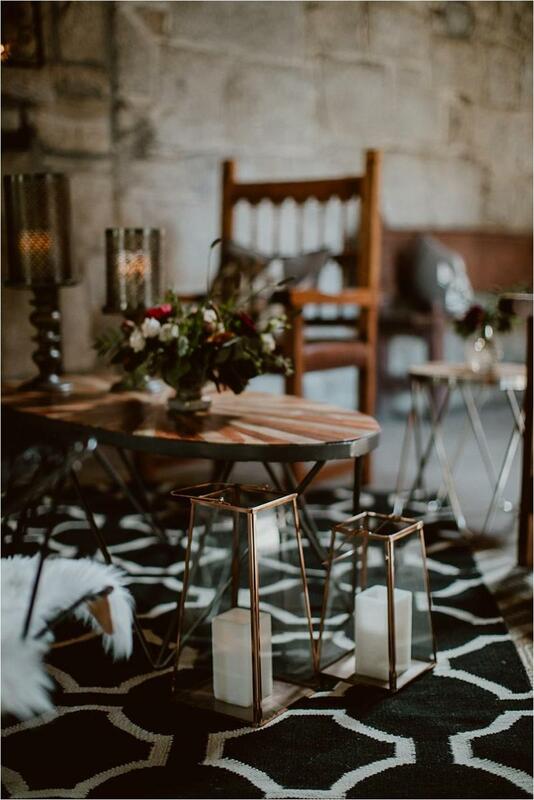 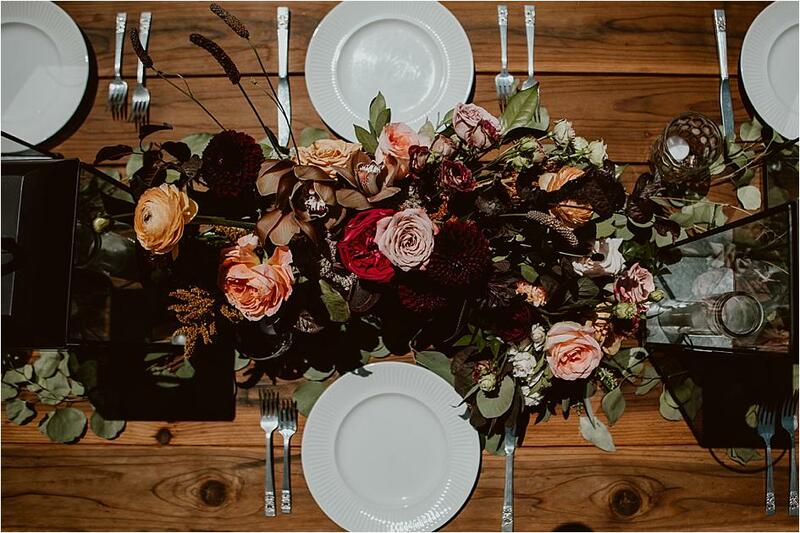 We're feeling all of the fall vibes here at CWD, and we're confident that this styled shoot planned and designed by Leilani Weddings and photographed by Victoria Gold will give you some gorgeous fall inspiration. 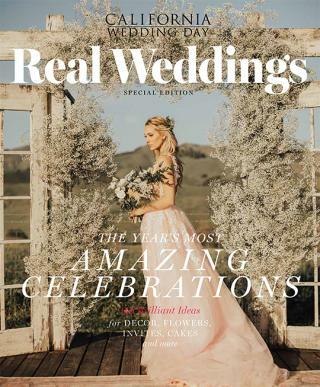 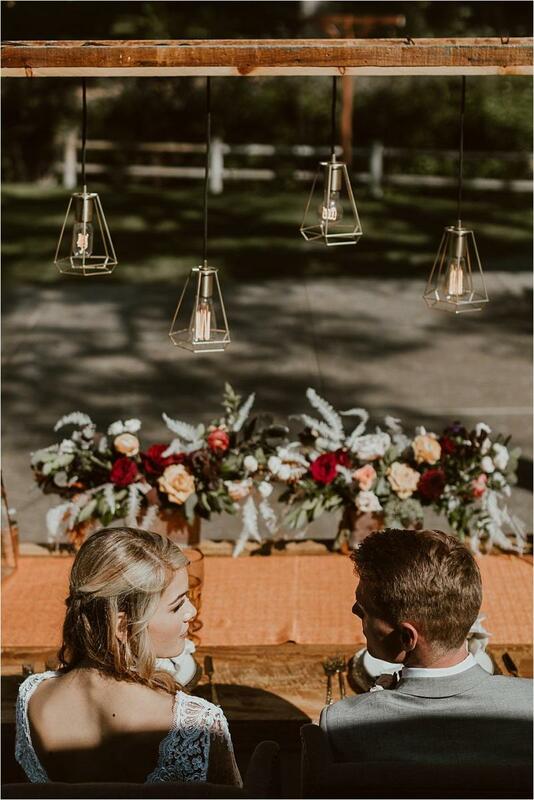 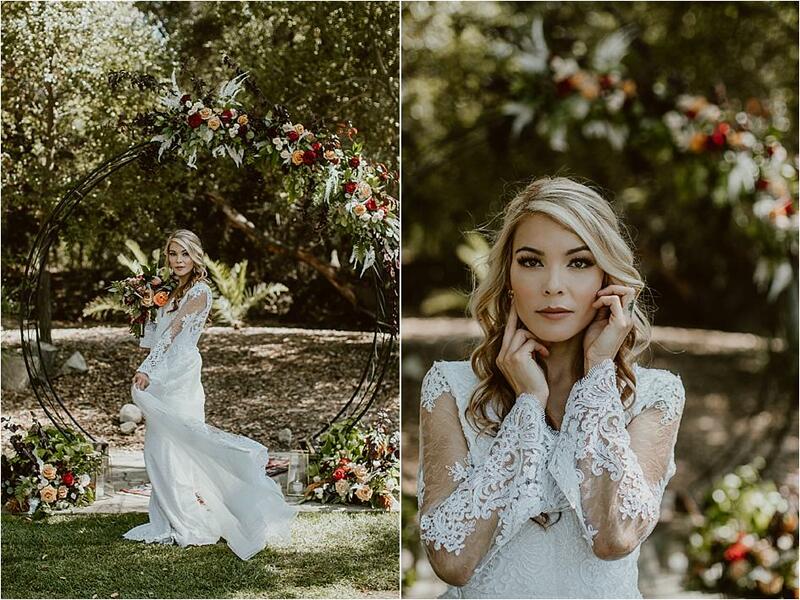 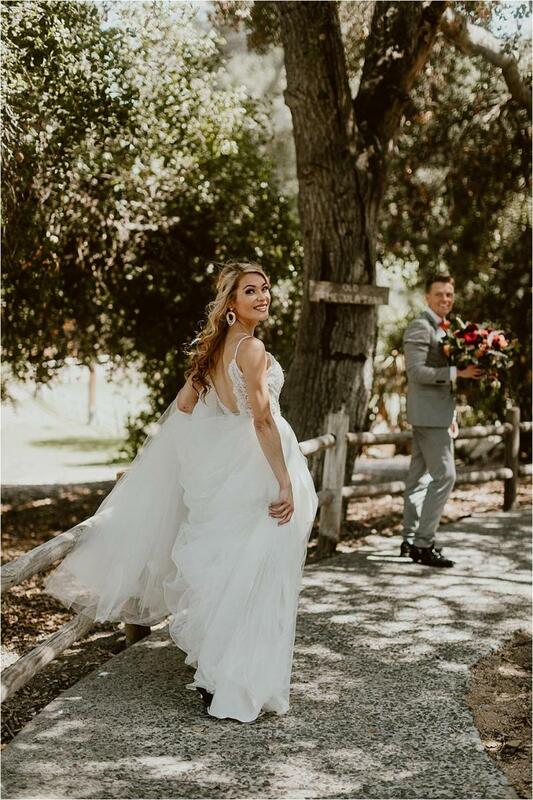 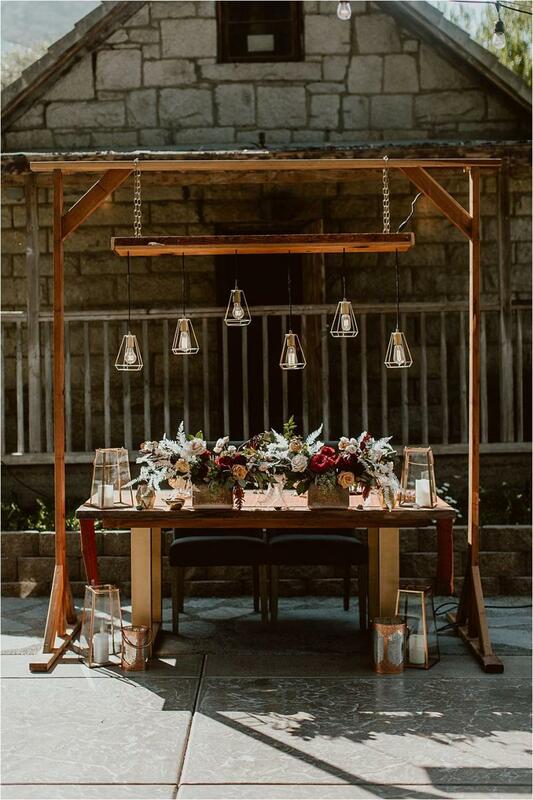 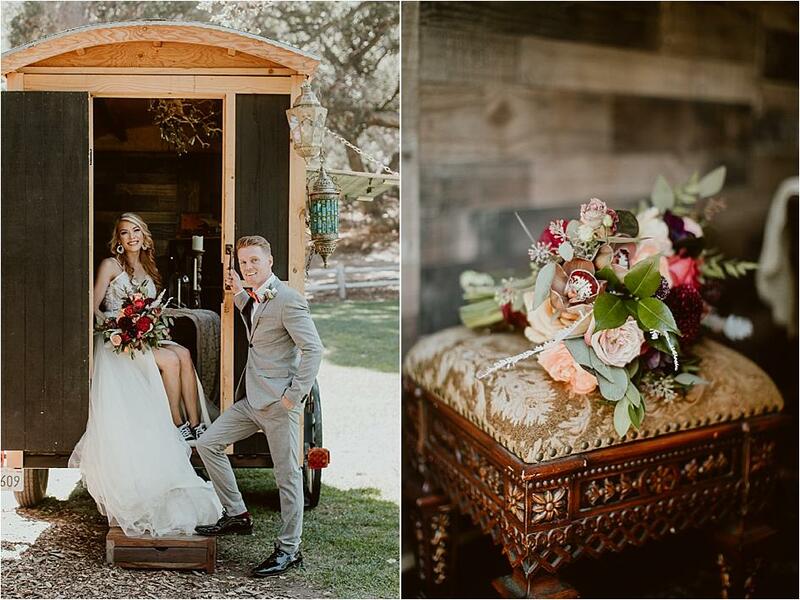 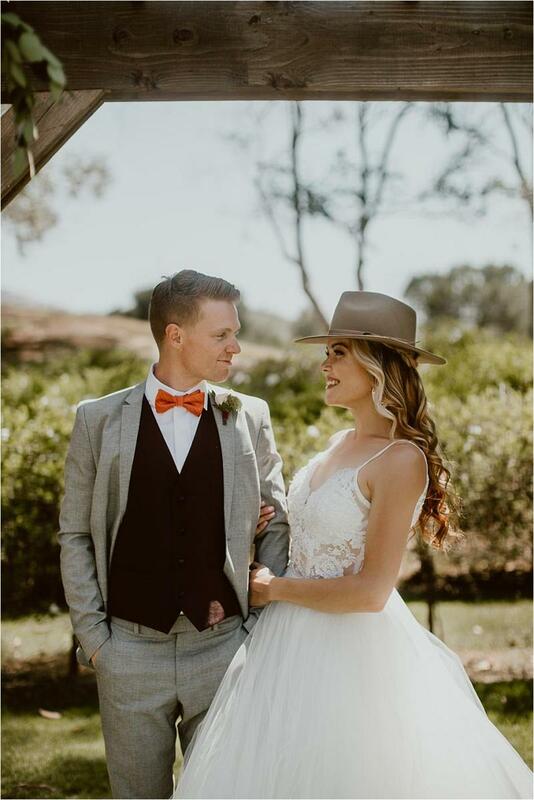 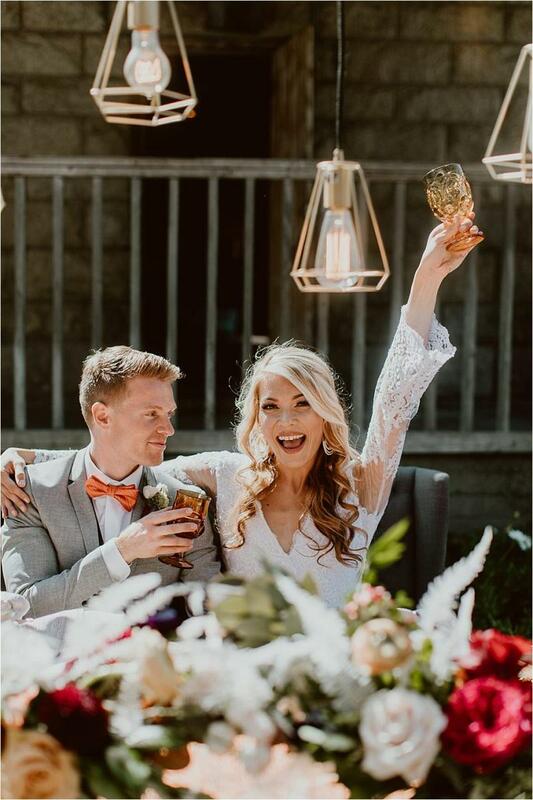 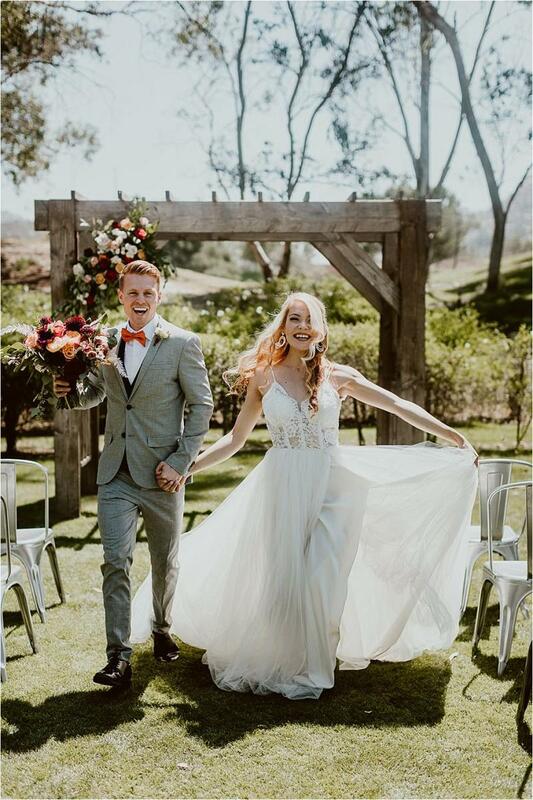 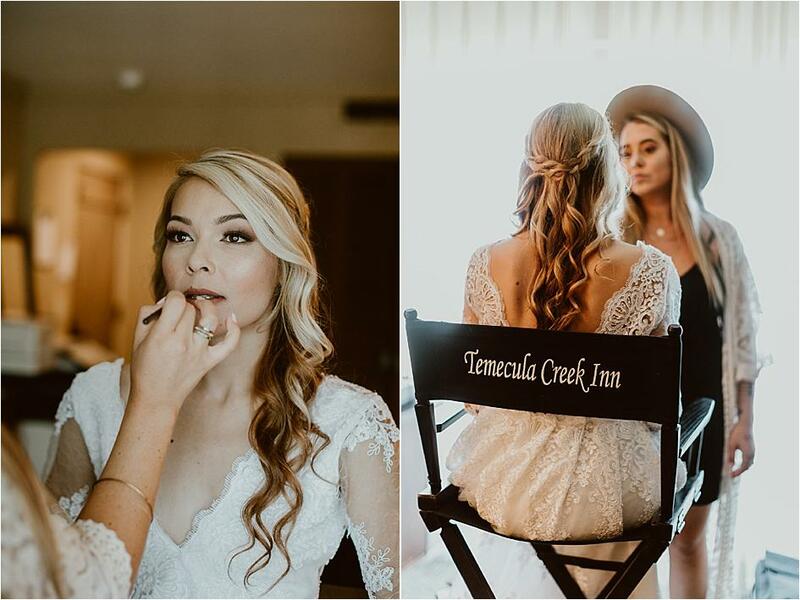 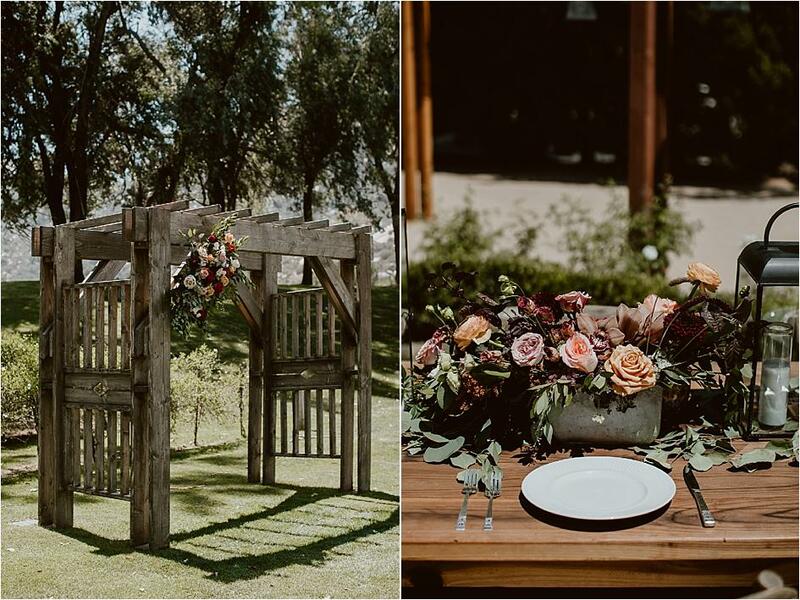 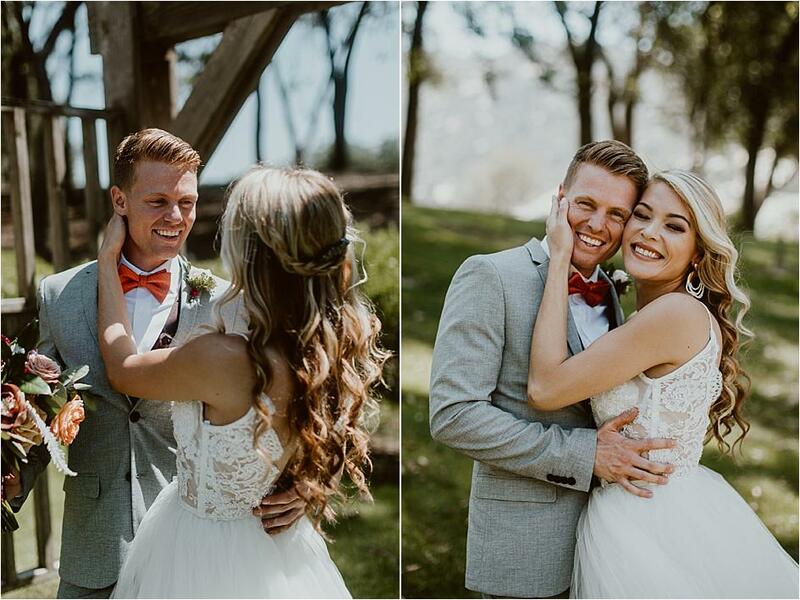 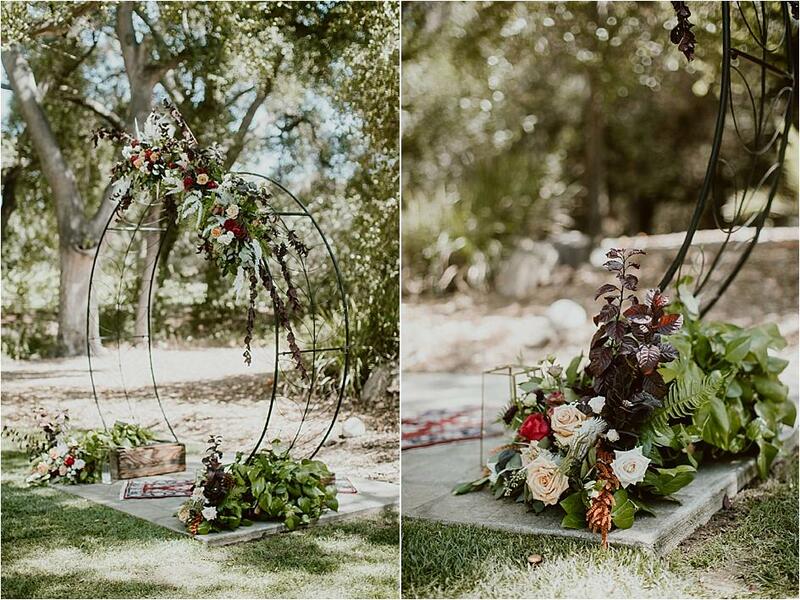 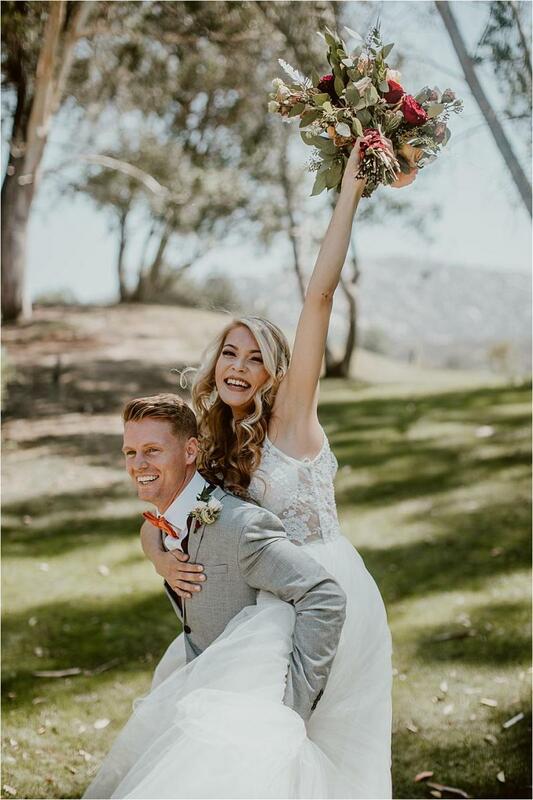 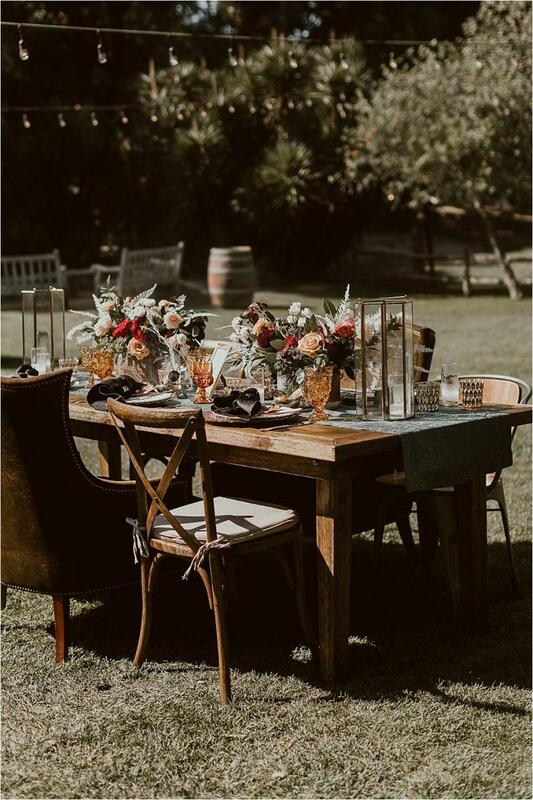 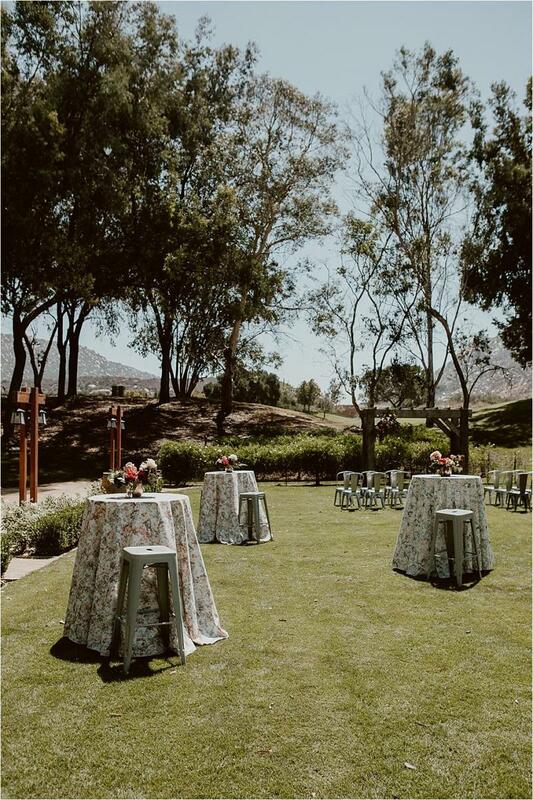 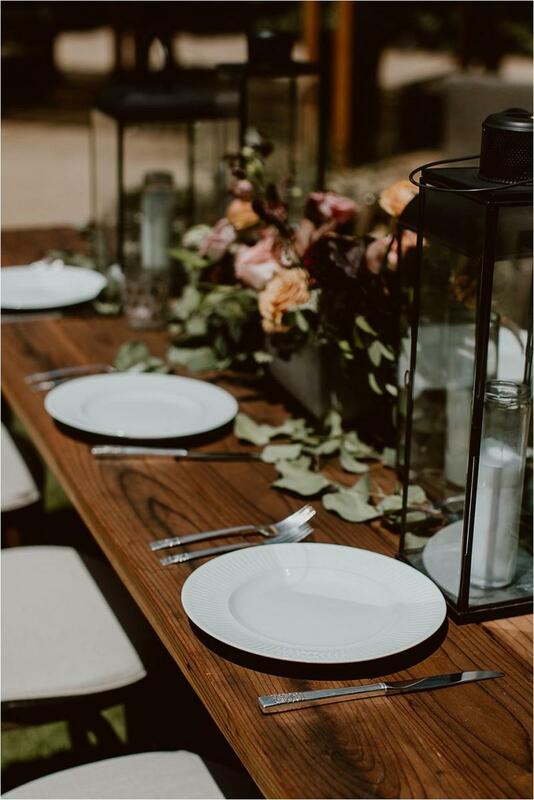 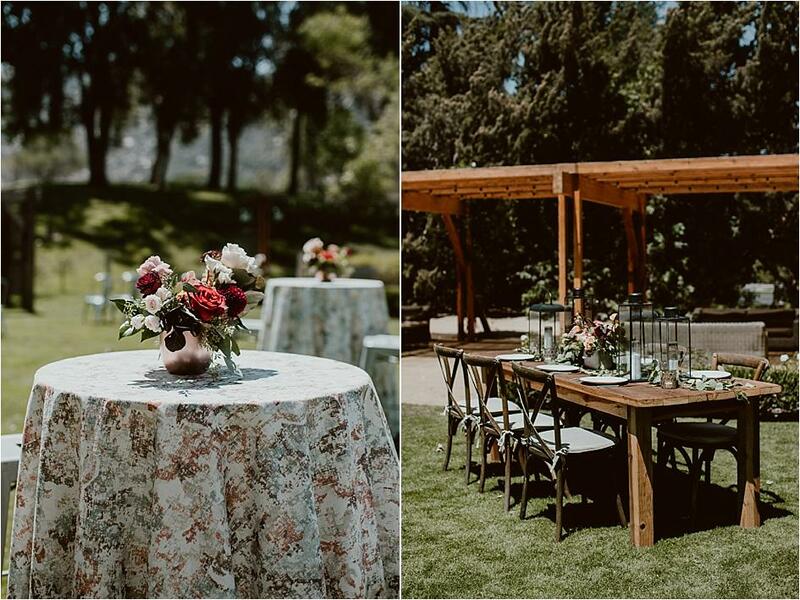 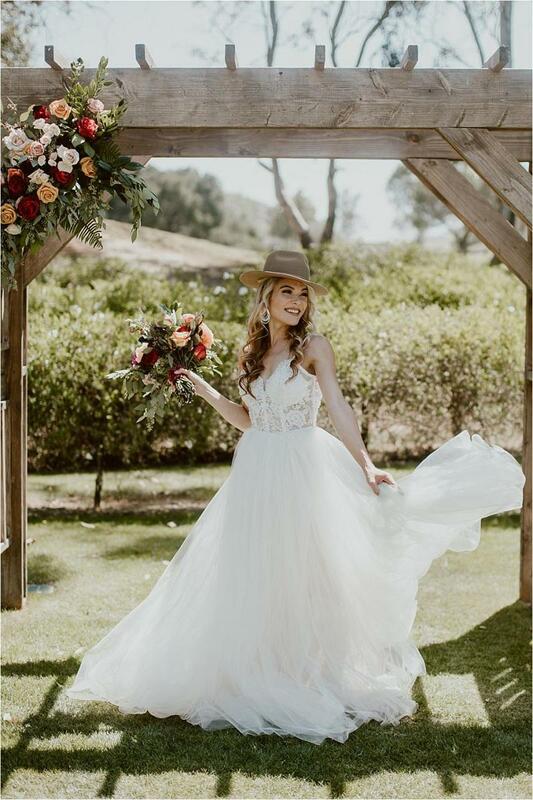 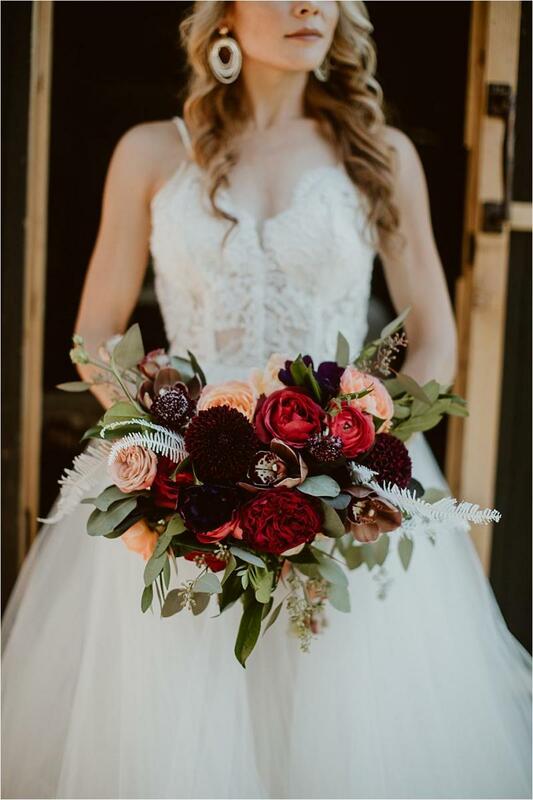 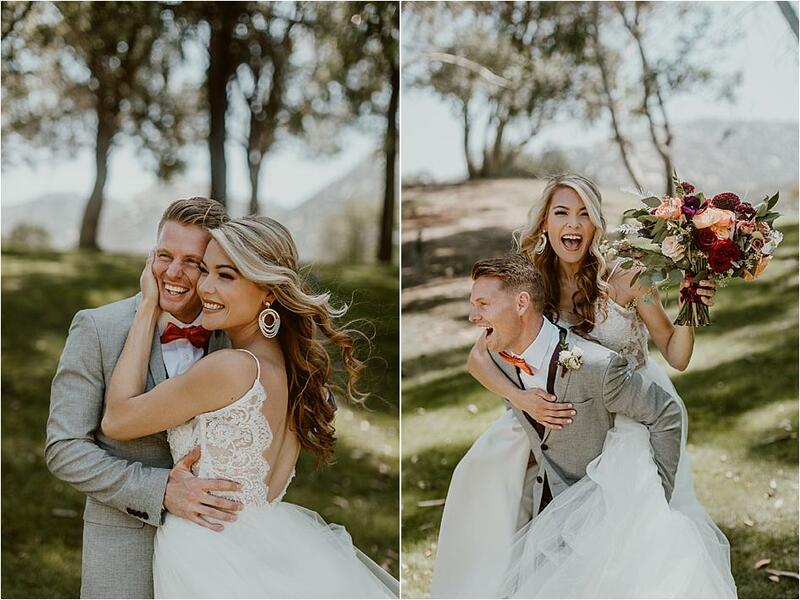 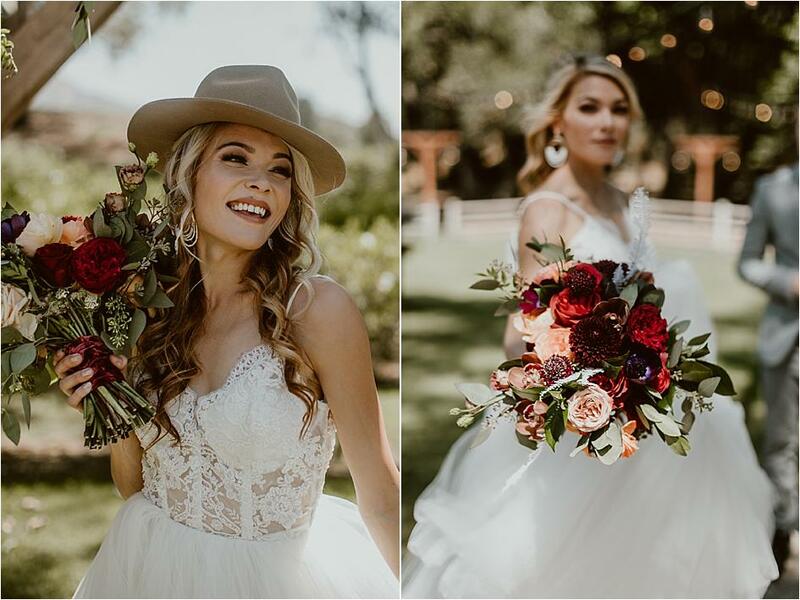 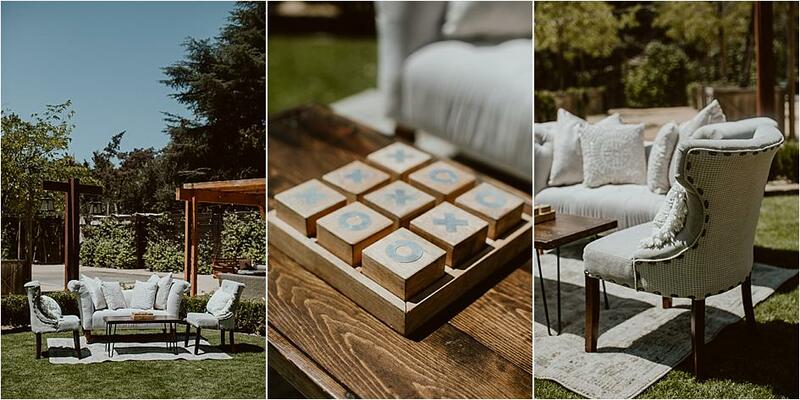 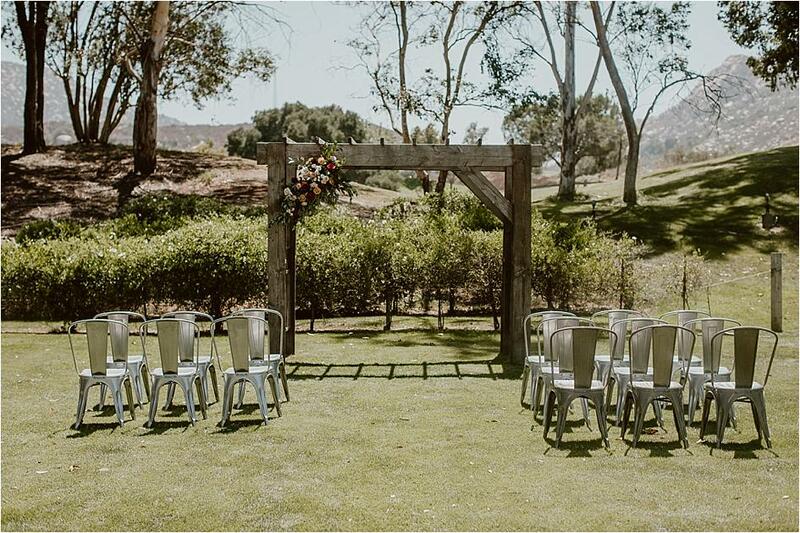 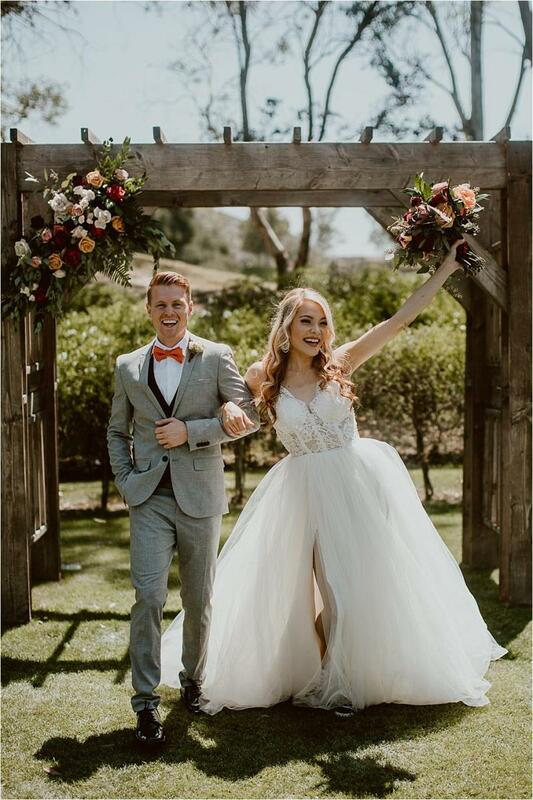 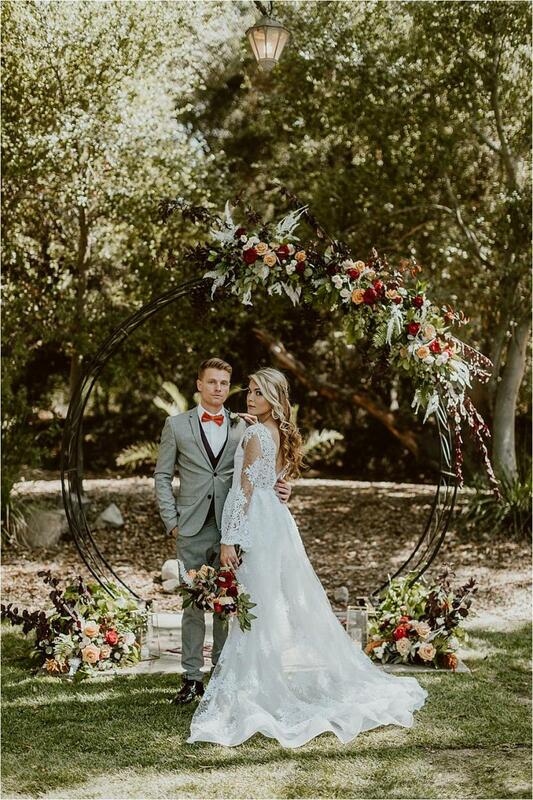 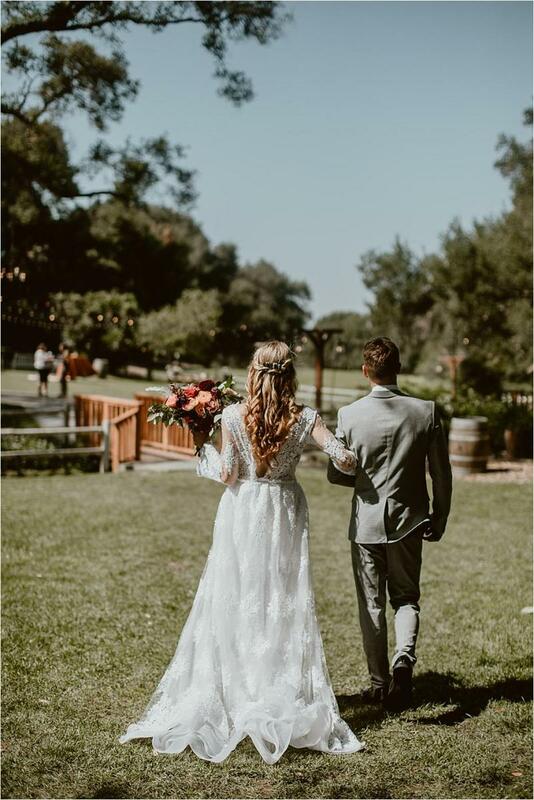 Temecula Creek Inn served as the perfect backdrop for the shoot, where rich floral design by Rebelle Fleurs, rustic furniture rentals and bohemian tablescapes in moody shades of orange, red and plum (accented with fall leaves, of course) stole the show. 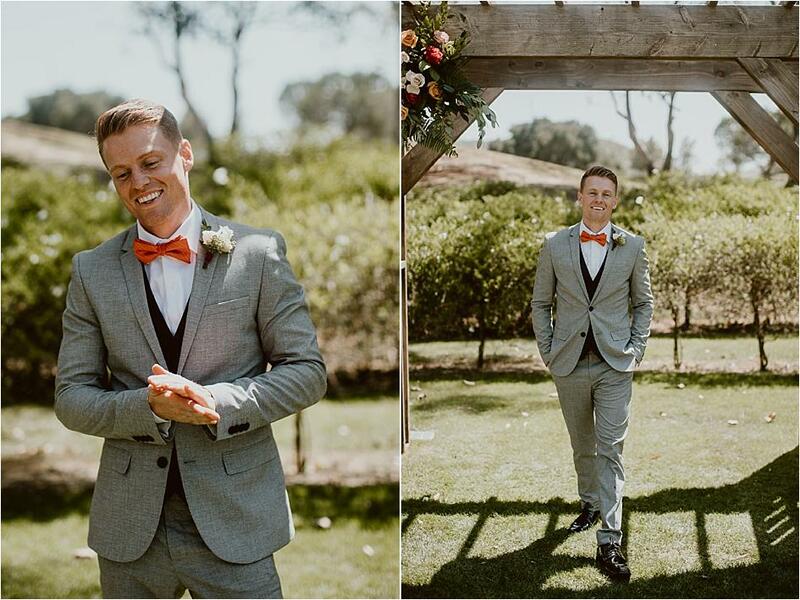 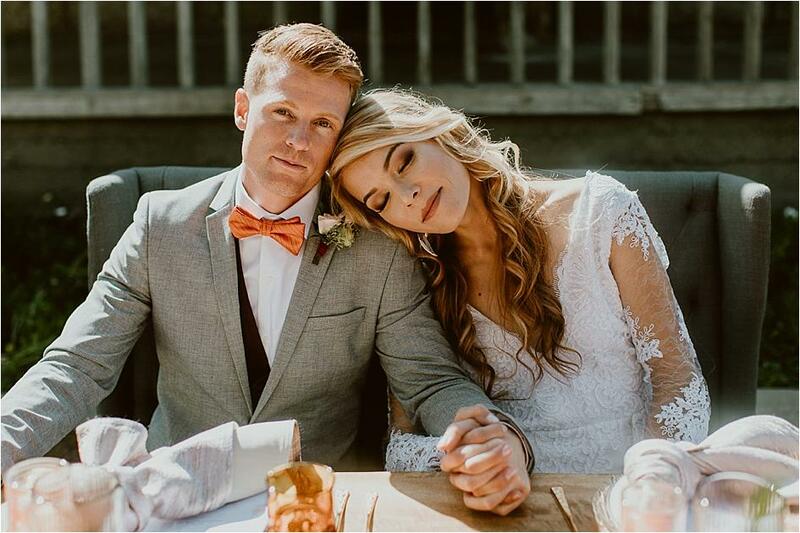 The bride showed off two gorgeous Glaudi gowns, and a chic hat topped off the bridal look, while the groom looked dapper as ever in a gray ensemble from Friar Tux completed with an October orange bowtie. 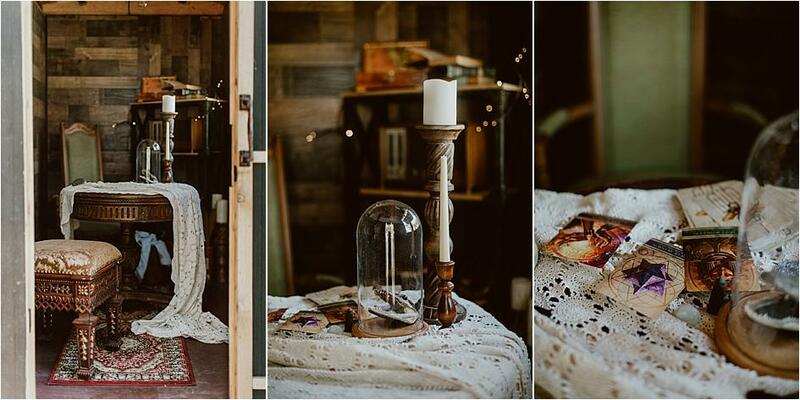 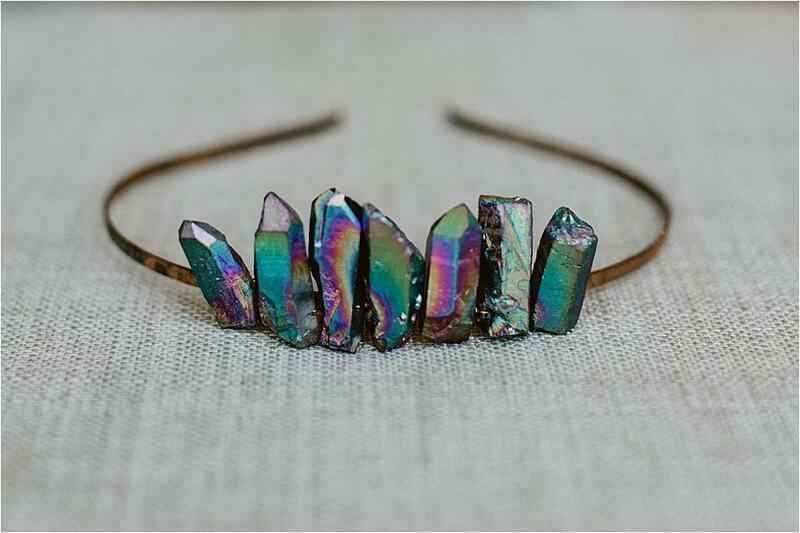 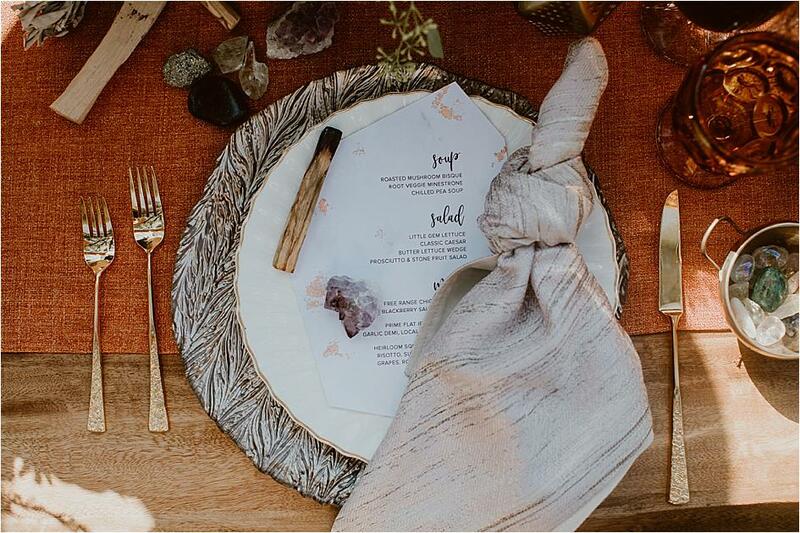 "We wanted to create a very autumnal, boho styled shoot that was a bit mystical all at the same time. 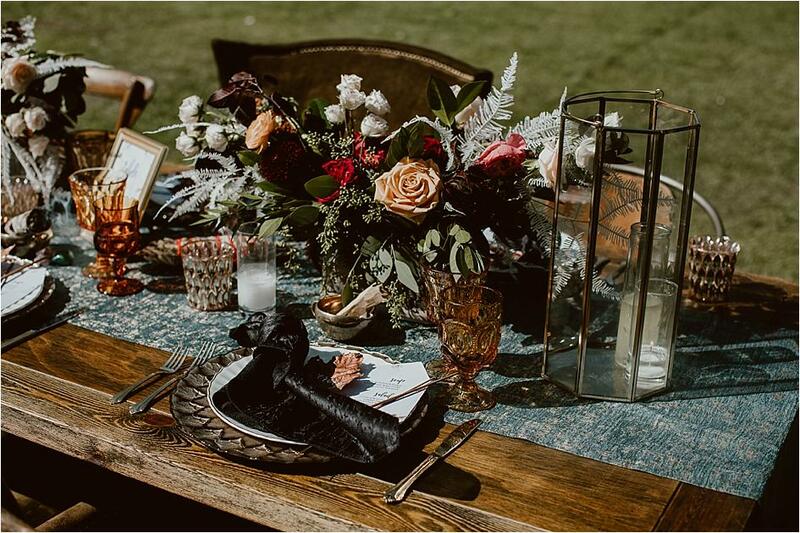 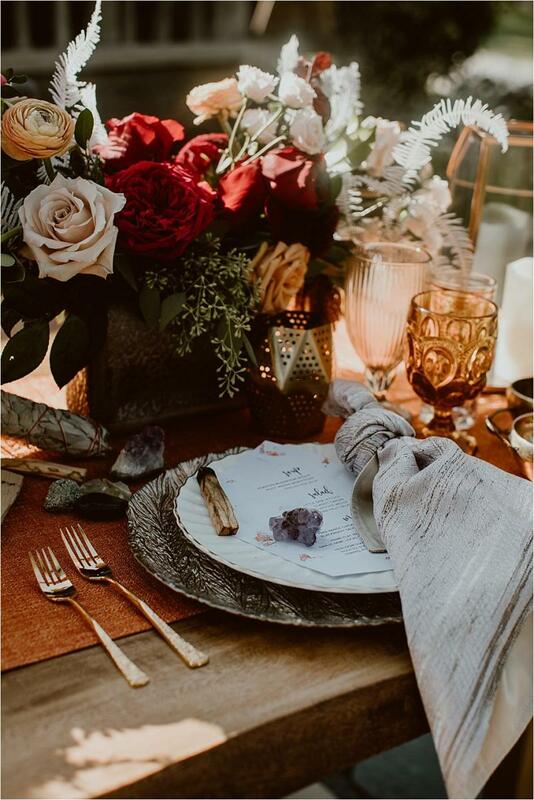 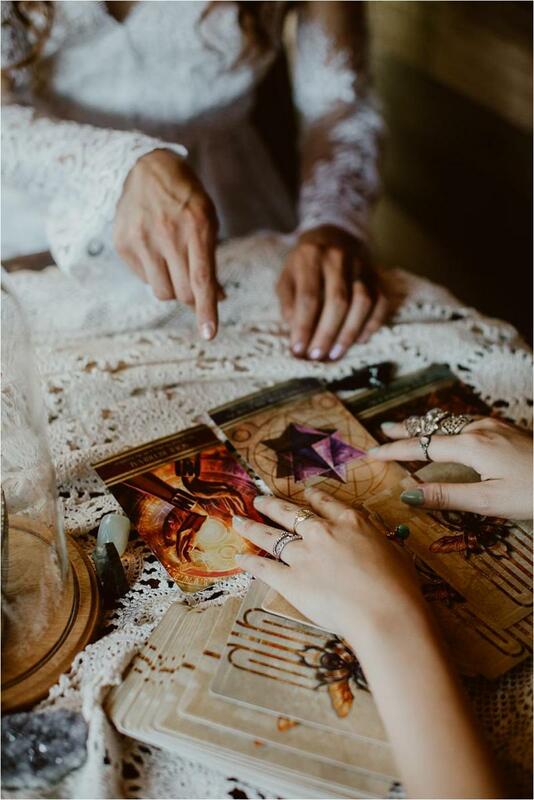 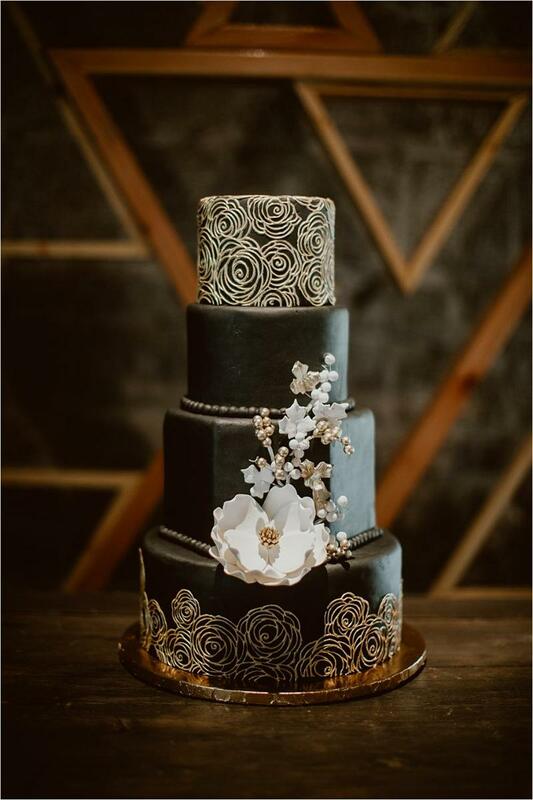 We did this by using bold fall colors like black, burnt orange, and teal, added details of sage and crystals to the table and brought in a tarot card reader!"